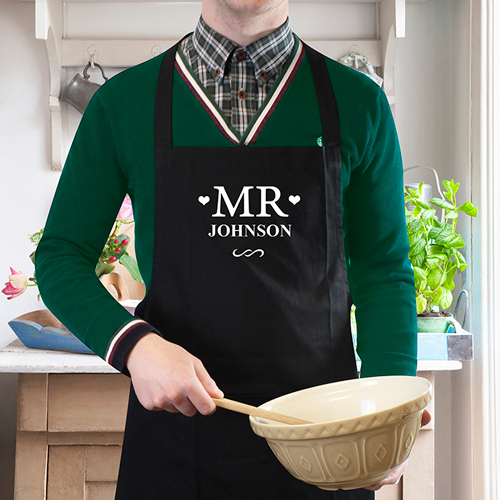 Personalise this Mr Apron with a surname up to 12 characters. All personalisation will be automatically capitalised. Ideal for Valentines, Weddings and Anniversaries.